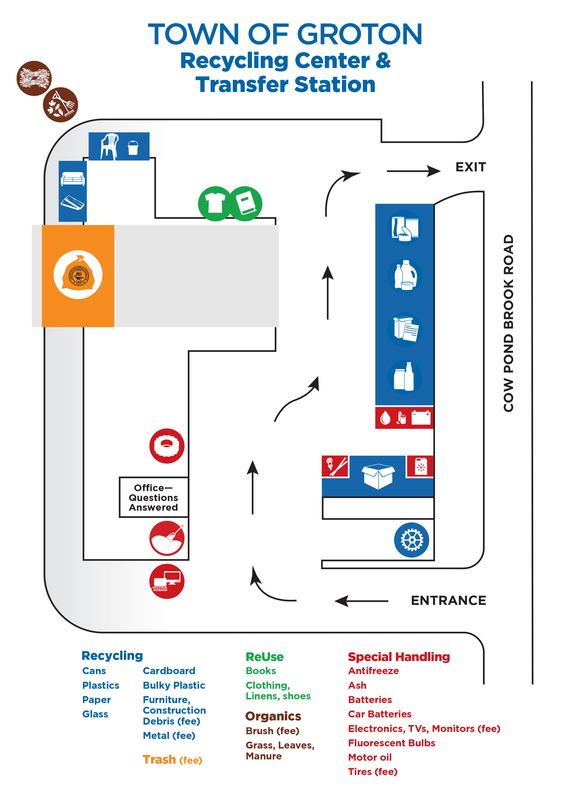 View the pricing information for all services at the Transfer Station. Vehicle stickers and special town trash disposal bags are required to dispose of trash at the Transfer Station. 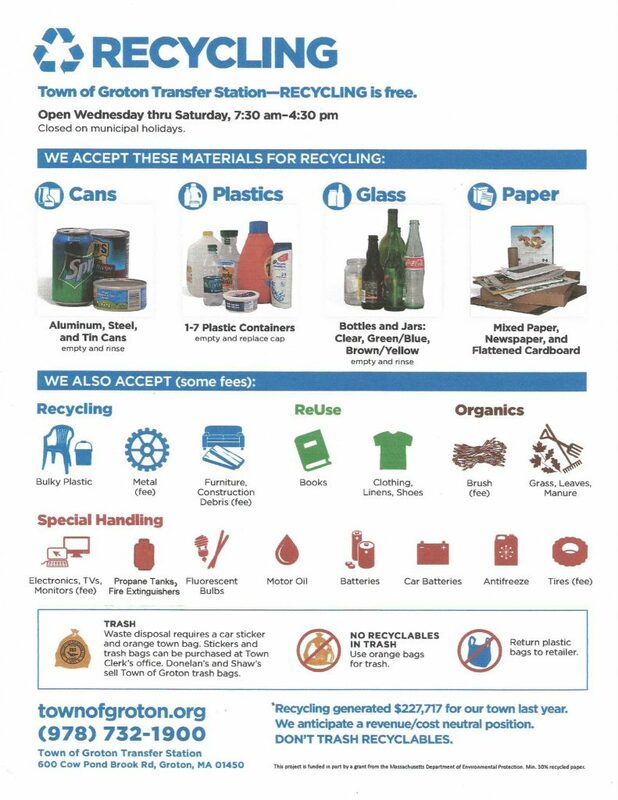 There is no charge or sticker required for recycling. Vehicle stickers can be obtained at the Town Clerk’s office. During June, July, and August stickers may also be purchased at the Transfer Station on Saturdays from 8am – 4pm. Once you’ve purchased your vehicle sticker, place it on your vehicle immediately for access to the disposal area. The Board of Health encourages residents to mail in their renewals at which time your sticker(s) will be mailed back to you. 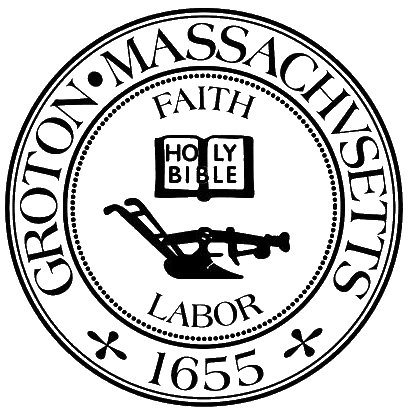 Please include a copy of your vehicle registration and make checks payable to Town of Groton. COPY OF VEHICLE REGISTRATION REQUIRED AT TIME OF STICKER PURCHASE. Bags can be purchased at the Town Clerk’s office, the Transfer Station, and Groton Shaw’s. Prices: 15 gallon – Pkg. 10/$11.00 32 gallon – Pkg. 10/$19.00 45 gallon – Pkg. 10/$27.00. Compost bins are available at the Groton Transfer Station for $25. Kitchen scrap buckets are also available for $5. The Perfect Compost Recipe – How to Get Your Compost Heap Cooking! Learn everything you need to know about what you can recycle and dispose of at the Transfer Station with our helpful videos below!